For those who spend most of the week in the office, those who work from home can inspire envy. With the commute being the walk from the bed to the desk and the dress code being at best extremely relaxed, it’s hard not to be jealous of those who can do their job from just about anywhere. Along with all the advantages however, there are many disadvantages that don’t receive much attention. 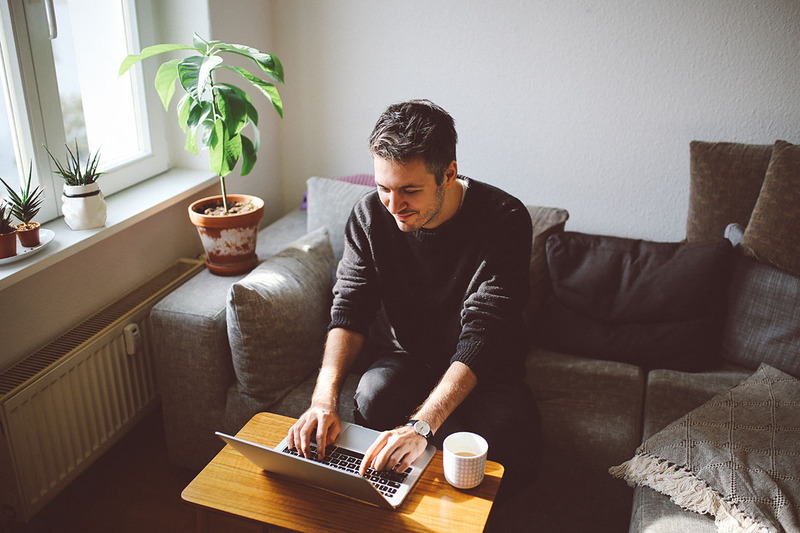 Here’s a list of the top benefits and drawbacks for remote work. The average worker spends 55 minutes commuting to work each day, adding up to a whole year out of their lives. Not only is this often wasted time for the worker, but it can also add stress and prevent full nights of sleep. On top of this, traffic and public transport is unreliable and you can’t always arrive at the office on time. Working from home means all of this becomes irrelevant. Although working from home can provide plenty of distractions, once you’ve learnt to block these out, you can put your head down and focus on the job at hand. With office phones not constantly ringing, colleagues not discussing their weekends and deliveries not showing up at the door every ten minutes, you can concentrate solidly for hours in an environment where you feel comfortable. Being able to focus on projects with minimal distractions means you’ll likely get them completed much quicker. If you’ve got a good manager, they’ll be keeping up to date with your workload and setting you deadlines. If you can finish all the work you need to do, does it matter where you do it? With apps like Slack and Trello, files and data being stored on the cloud, and the trusty old email and phone to back you up, being connected to your office throughout the day is simpler than ever. If you don’t have to be in the office, you no longer have to look for a local job. Although you might have to visit the company on occasion, you could even be in a different country and still achieve your targets. This opens you up to numerous new opportunities, and can help you find a job in a sector hub, even if you’re not nearby. Your employers will jump at the chance to save money on office space, supplies and snacks. If you are reimbursed for travel or expenses, that’s even more money saved. On the other hand, you’ll save on commuting and eating out at lunch. Being able to spend more time with your family and having a better work/life balance will make you happier overall. You’ll be less stressed, take less sick days and vacations won’t seem like the only break from work. This will be beneficial for both you and your employer, increasing your productivity and overall happiness. On the other side of the coin, the first few weeks of getting used to working at home can cause a dip in productivity and will continue to do so if you don’t find the right balance. You might feel more free to slack off when your manager isn’t around, and this is usually the key reason for employers rejecting a request to work from home. While you could be good at picking up skills yourself, you’ll be missing out on any training that takes place in the office. This also encompasses any company training on subjects such as new software, objectives or staff. You might start to feel left out if things are happening at the office that you’re not part of. Events and team building days might require you to take a long journey only to find that the rest of the staff are already good friends and you’re the outsider. If you’re efficient and complete projects quickly, you could find that your manager struggles to keep up. This could leave you in the dark to the status of your work, or without anything to do. Things are generally easier to go through in person too, so obtaining useful feedback might be a frustrating process. Your office’s cyber security policy may not account for remote working. This can especially be a problem if you handle sensitive data and have an unsecured network at home. While your office should be secure, if your laptop went missing or you accidentally download a virus, you might not be equipped to protect vital information from being stolen, deleted or leaked. We’ll leave it up to you to weigh up the pros and cons. Remote working isn’t for everyone, and of course, it isn’t always possible and depends the job. It could be what you need to get out of that slump at work, and doesn’t always have to be full time. It’s whatever works for both you and your employer! If you want to discuss what remote working opportunities we currently have, please give us a call on 0207 220 1600 if you’re in London or 01189 526060 if you’re in Reading. Or just email us on enquiries@it-talent.co.uk.